Chicken soup is truely food for the soul. 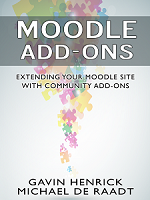 Using #Moodle as an open access content resource repository with inpopup=true and username=guest in url is handy. 2 days at www.epforum.eu and not one twitter entered, a good or bad sign? Was good conference, now in airport going home. Gate90, woot! arrived at www.epforum.eu so hard to choose which sessions to go to.